The highly-anticipated 2018 World Cup is set to kick off on June 14th, as Russia hosts the biggest international event of the summer. There will be 32 nations vying for outright success on their travels to Russian soil, while it’s Joachim Low’s star-studded Germany squad that will be out to impressively retain their crown, having prevailed in the 2014 final against Argentina in Brazil. While nations are busy battling it out for the ultimate goal in international football, there will be a host of world class players strutting their skills and aiming to showcase their immense talents on the grandest stage of them all. So, with that in mind, here are five of the most likely contenders for the Golden Boot at this summer’s World Cup in Russia. Lionel Messi is arguably the greatest player in history, having lifted every club trophy there is available during his incredible career with Spanish giants Barcelona. But a major international honour, particularly the World Cup, has eluded him. He will be aiming to fire on all cylinders this summer in what is likely to be his final chance at capturing that desired feat. Messi and his South American nation are regarded at 7/2 over at William Hill to reach the final at this summer’s World Cup, having done exactly that in Brazil four years ago when beaten by eventual champions Germany via a sickening extra-time goal from Mario Gotze. Portugal will be riding high on their historic win over France in the final of Euro 2016 still, having rallied to a narrow victory on French soil to lift their maiden silverware. Cristiano Ronaldo was key to that triumph during the course of the campaign, with his goals firing them all the way. Can he do the same this summer in Russia? You can never rule the Real Madrid hitman out! Liverpool have found a brand new Anfield hero this season in the form of Mohamed Salah, or as the KOP faithful have dubbed him, ‘the Egyptian King’. The Egypt international was key with his clinical eye for goal in qualifying and could be a dark horse for the tournament’s Golden Boot on Russian territory. He’s proved he can do it against the top clubs in the world this past campaign, so why not the most prominent nations too? After securing the Golden Boot at Euro 2016, Atletico Madrid marksman Antoine Griezmann will be confident of ensuring yet another personal award this summer. The France international frontman is one of the main goalscoring threats at the competition and will likely be amongst the top forwards yet again this time around. With Brazil seeking redemption for their disastrous humiliation at the hands of eventual 2014 World Cup victors Germany four years ago, Neymar and co will be gunning for a strong showing on their Russian ventures. 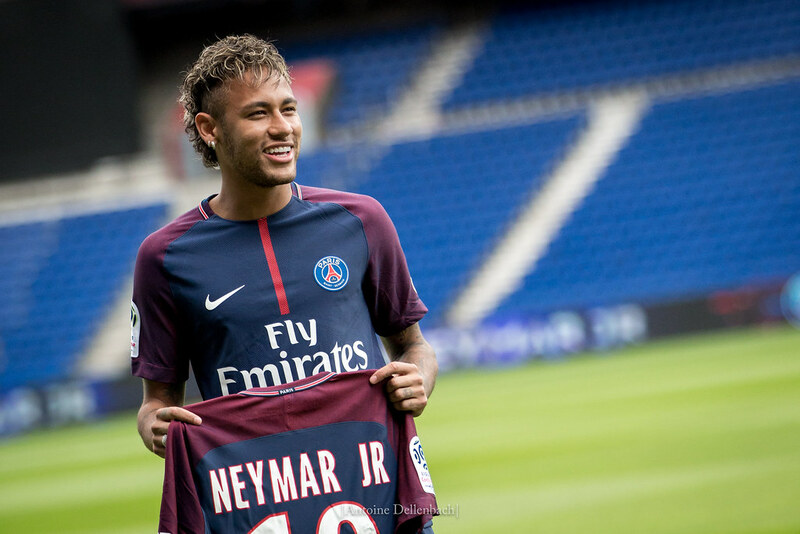 PSG superstar Neymar has taken to Ligue 1 clinically and could well steal the show this summer with his goalscoring abilities and dynamic attacking abilities. Watch this space!